Unique Muskoka business maps in pastel colours. 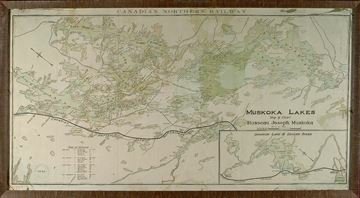 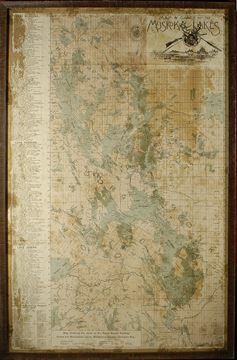 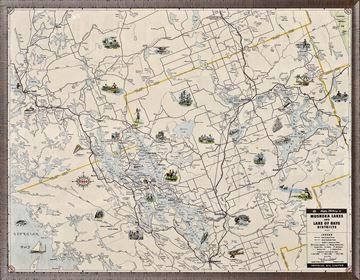 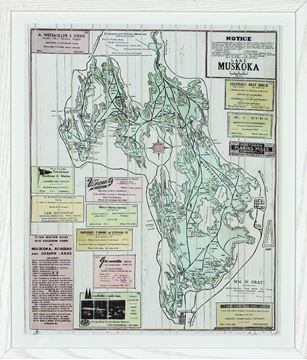 Unique Muskoka business map in soft pastel colours. 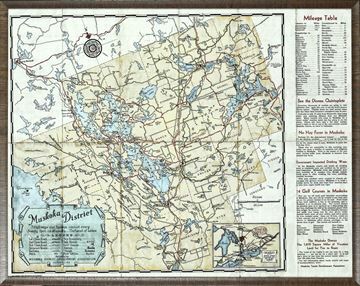 A lovely trip down retro memory lane. 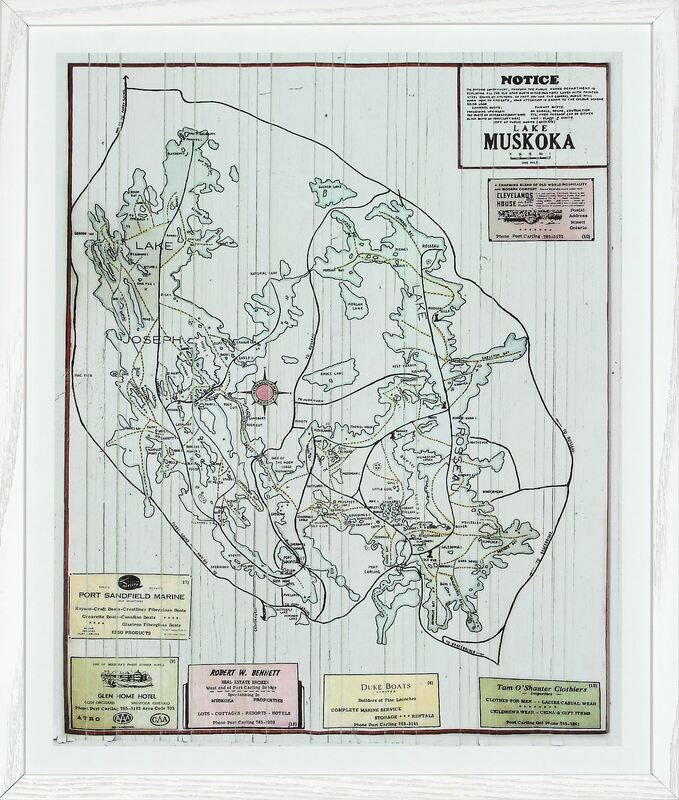 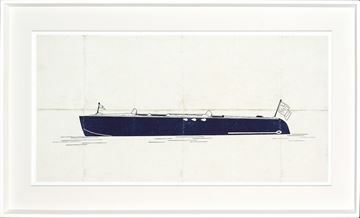 Each is framed in a rustic, white washed frame for that Cottage , Modern Farmhouse vibe.